I was surprised to discover this amazing book! 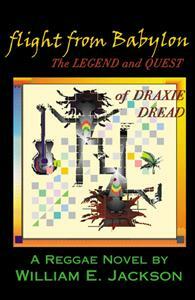 -- labeled a "Reggae Novel" -- probably the only novel about the world of Reggae music in existence! What a great idea! What a rich subject! What a loaded situation! This story is loaded alright -- with incredible people of wide virtue and values, buttressed by deep historic underpinnings and unabashed honesty. It is a tale realistically rife with bigotry and prejudice coming from ALL directions -- and taken to task gloriously by the word-sound-power of the virtuous, infectious music that Marley promised "when it hits, you feel no pain." Well, you feel the pain here, brother, and in ever-deepening ways. The characters are indelible, the major men AND women strong, complex and decisive (which I appreciate, as a woman). Even the "bad guys" are fetching and understandable, in their drives, needs, cares and fears. All the many characters in this story are unique -- witty, cunning, hilariously funny and/or dreadful in truly real ways. And the treatment of the "patois" language is superlative; after awhile, you barely notice it -- or that you yourself are thinking in this dialect. The protagonist, Draxton Welles, aka Draxie Dread, a knock-around guerrilla artist, is blown away by a roots backpack trip to Jamaica, where he's exposed to some of the "real" culture. Back in Los Angeles, he dumps his white girl and naysaying friends, forms a reggae band, falls for a black American girl, and moves to the Crenshaw District to begin his musical quest in the heart of L.A.'s Jamaican community. Through wild struggles and twistsof luck, his band Cornerstone makes it through two hit albums to open a world tour for leading star Hagian Foss (styled after the late, great Peter Tosh). But on the cusp of his final ascension, Draxie's world comes completely unraveled, and he is faced with fighting for his very life. I won't spoil the plot for you, but suffice it to say that it is not easy for a renown white star to escape an island-wide dragnet for murder, laid by the "good" cops, the "bad" cops, and the crime underworld -- Babylons all. You will never forget this book or these characters -- NEVER! They are as indelible in my mind now as Frodo in "lord Of The Rings". This book is potentially as powerful an underground classic as "1984", "Animal Farm", and "Dr. Zhivago", especially in its treatment of the struggle for personal freedom and the cultural statement of the "sufferer". In that regard, it's easy to see why it had to be published by this revolutionary publishing house; the "trads" could never tolerate its views. "Flight From Babylon" is just that -- a liberation from all that is troubling you, even as you see how much MORE troubling it can be for others less fortunate. After you read this book, you will be forced to see the world through new eyes -- like your first acid trip, or a close encounter with a dolphin, or a solo hike over the Rockies . . . or a long conversation with Bob Marley. Imagine that. In fact, some of the conversations and interviews in the story (some are actual!) are as deep and searching philosophically as anything I read in college Philosophy I & II. And certainly more rhythmic! Check out the real situation . . . buy this book! I won't spoil the ending for you on this one - mainly because I can't - I'm still in the middle of reading this wonderful book! I savor and look forward to every page - and am so fond of it I will surely miss it when I'm finished. I like to take my time and stretch out the pleasure of this book as long as possible - not hard for me to do, being the world's slowest reader, averaging only a few pages per day. Ah, welcome to life in the 21st Century. Even if I hadn't been to Jamaica, this book would still conjure up the thick, tropical texture one experiences in the islands - and the author has a keen talent for drawing you right into the environment, and making you intimate with the "disparious" characters. At once eloquent and down to earth, Will Jackson is easily the new Mark Twain of this generation. His particular talent for storytelling and details is unlike any other author I've ever read - and I definitely look forward to reading more from him! i enjoyed this book immensely! mr. jackson has dared to write an ambitious novel; covering a wide array of subjects, from tracing the roots of reggae music and its forefathers, how the fires of sociopolitics branded the music and the "culture" that developed..., to its impact on the world. mr. jackson's novel has succeeded on all levels, that is, through his detailed accounting, he educates the reader on a cultural phenomenom that, for myself, have had only a rudimentary awareness of. but maybe best of all, he has, with great skill, created a cast of characters that draws one into...a world where even its most sympathetic figure has his/her own foibles. you do care what becomes of the tale's hero and heroine. its hard to believe that this novel could be a first effort. be prepared to be engrossed in this ever-quickening page-turner, and upon its stunning and perfect conclusion, check with your travel agent on the next available flight to jamaica. the vivid descriptions detailed in Flight to Babylon will refuse to depart your imagination. Of all the books I have read in my life I have say "Flight from Babylon" is a real thrill seeker and I enjoyed reading it. Taking me through all levels of the "Culture" and Reggae music not to mention each event that they all experienced in this awesome novel. Draxie the main character in the book experienced many different struggles through his journey, But one thing I felt the most eloquent about was a feeling of the intimate side of Draxie in reading this novel which is rare to feel in someone's writing. I appreciate that as a woman on how a man can put into writing and the Author Mr. Jackson worded it so "Perfect" it was making me so "HORNY" Mon! His thoughts and mixed feelings with a few of the characters had my mind and body set in just the right atmosphere for my body to be taken to destinations beyond my control. This is an awesome novel to feel what I felt you have to read it. I won't spoil the plot for you by telling you more just know that this novel has not only opened my to the "Jamaican Culture" but it made me so Horny Mon! But this book to see what I'm talking about.. When I originally reviewed this book, while I was reading it, I mistakenly hit the rating choice that gave it "three stars" because I am a "quick clicker." (say that five times!) In fact, I meant to give it FIVE stars and would give it TEN stars if I could - especially now that I have finished it! The characters are what I loved so much in this book - and the way the author develops them slowly and surely - and by the end, you feel like you have been intimately involved with them and their dealings throughout the story. I especially liked the little asides and philosophical comments many of the characters had that were not even a part of the story - just little realizations or observations they would have along the way - things you think about like when you're a kid, but were never able to quite put into words. This is Will Jackson's genius - the subtle shades of insights that reside between the colors in out intellectual spectrum - the ultraviolet of our libido - the cerebral color-thoughts just outside of our visceral range - his ability to make them visible is uncanny - and welcome! I naturally wanted to read more - although I now realize this piece must stand alone. I think it would make a great movie too - either Johnny Depp or Ashton Kutcher in the lead role as Draxton. I look forward to more books by this most absorbing author - and the movie for this one!